Mentoring is a great way to make a connection and have a big impact on someone new to the SC conference. When registering for SC16, consider signing up as a mentor to help students get the most out of the conference and make a difference in their careers. 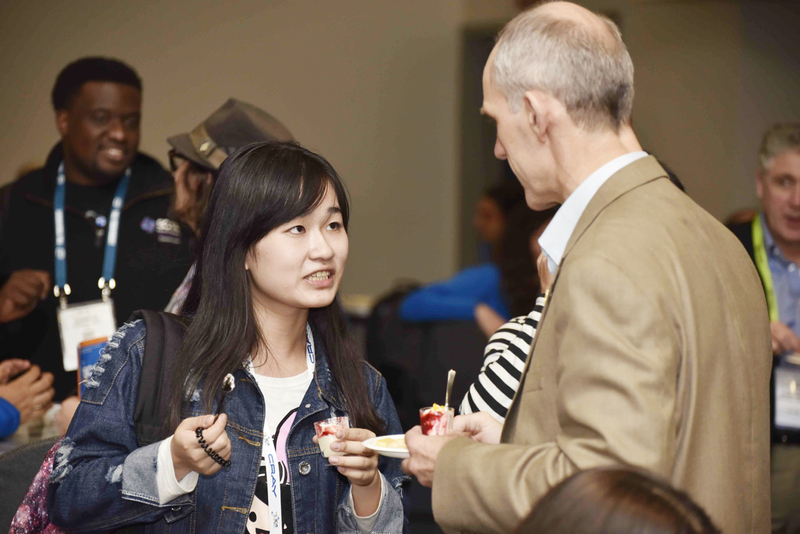 Organized as part of the Students@SC program, the Mentor-Protégé Program supports the growth of a vibrant HPC community by connecting SC conference newcomers with experienced conference attendees. Some of the most successful leaders today, point to important mentor relationships that had an enormous impact on their career. For many students, SC16 will be their first conference and can be overwhelming, but a mentor can help them make the best use of their time and make personal connections. Conference attendees who have attended SC one or more times in the past are encouraged to sign up to be mentors by checking the appropriate box when they register for SC. Read how one SC14 protege got a new job and became a mentor at SC15. Mentors should plan their travel arrangements so they can attend an afternoon mixer for mentors and protégés on Monday, November 14, 3:30-5 p.m. If you have already registered for SC16 and would like to be a mentor, e-mail: mentor-protege@info.supercomputing.org. The required commitment for mentors and protégés is a pre-conference email or phone contact, attendance at the Nov. 14 Mentor/ProtégéMixer and another meeting of your choice during SC16. There is no cost to participate. Read the guide for SC16 Mentors . Read the guide for SC16-Protégés. Click on the links below to read Students@SC Case Studies.